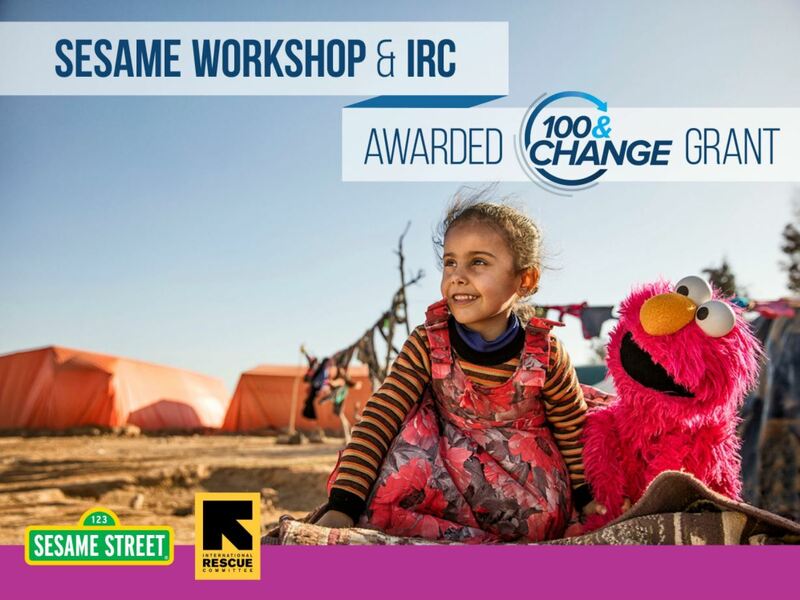 In 2017, the MacArthur Foundation awarded a USD 100 million grant to Sesame Workshop and the IRC for joint work in Syria, Iraq, Jordan and Lebanon. This created an exciting opportunity to use the learning from home visiting and multimedia pilots we had already funded to inform the effort to take these programmes to scale. Over five years, the aim is to reach 9.4 million children via mass media, and 1.5 million through home-based and centre-based direct services. 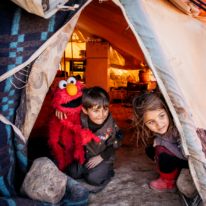 Young children are commonly overlooked in humanitarian responses to crisis situations. 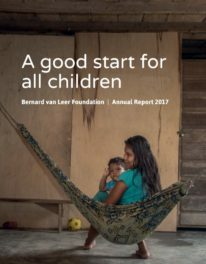 Millions are at risk of not realising their development potential, as prolonged exposure to violence and stress has potentially long-lasting impacts on their health, learning and well-being. 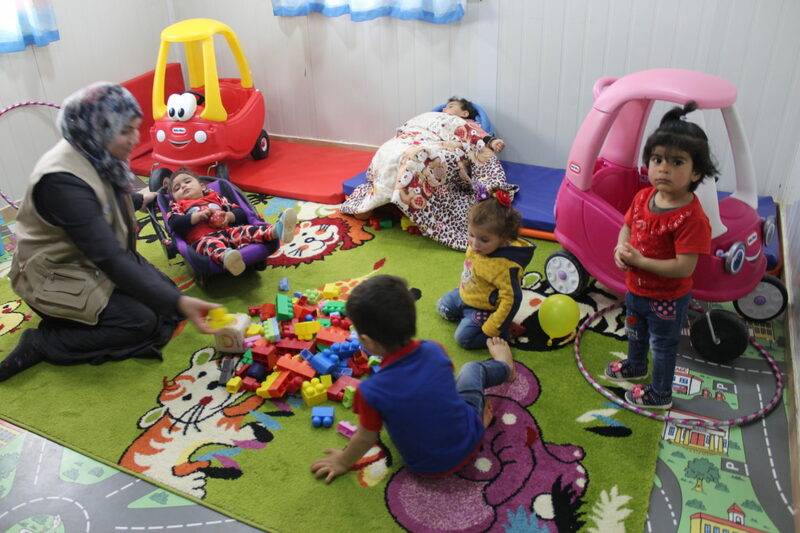 Yet much is known about how to build the resilience of these children and get them back on track. 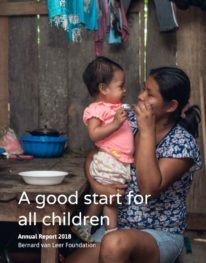 In June 2018 we helped to launch the Moving Minds Alliance, a network of funders dedicated to scaling-up coverage, quality and financing for programmes that support families to rebuild their resilience and foster the well-being and development of their young children. The alliance includes Open Society Foundations, ELMA Philanthropies, Comic Relief, Vitol Foundation and Jacobs Foundation. 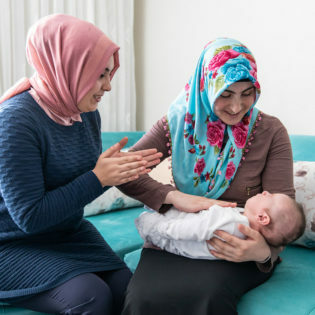 As well as the Reach Up-based home visiting model, we are exploring other approaches including working with mother-and-child centres and programmes supporting parents’ mental health. 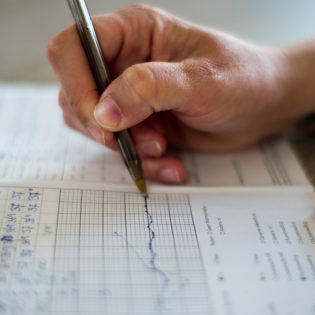 The broader goal is to create a model that can be adapted for humanitarian crises throughout the world.